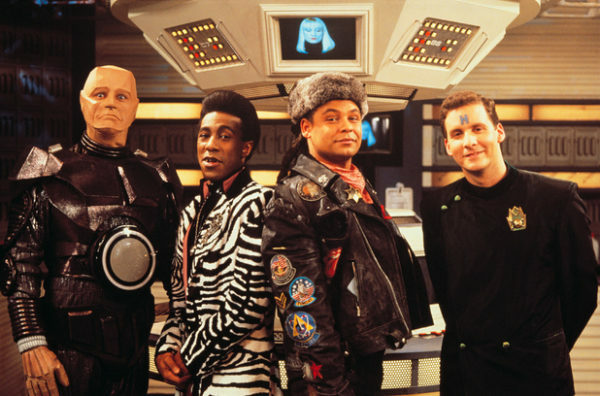 First off, let’s get this out of the way – there is life on Red Dwarf, and it consists of Lister, Rimmer and the Cat (and Holly and/or Kryten, and a few others). But of perhaps even greater interest, is the question of planets that orbit red dwarf stars, and whether they would be able to support life as we know it. 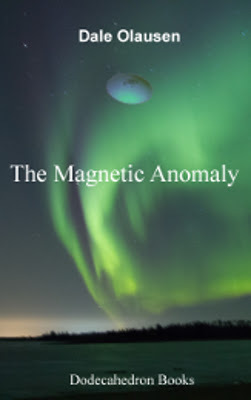 This is of particular interest, with the recent discovery of 7 Earth-like planets orbiting a particular red dwarf, which is only about 40 light years from Earth, a near neighbor in galactic terms. This star is known as TRAPPIST-1 (derived from the term “Transiting Planets and Planetesimals Small Telescope”). The star is a red dwarf, so it is small, about the size of Jupiter, and much cooler than our sun. Thus the term “red dwarf” – red, since its light peaks in the less energetic red (or infrared) part of the spectrum, and dwarf because it is small (though, technically, our sun is also called a “yellow dwarf”, so the term is quite elastic). The planets were discovered via the effect they have on the star’s light curve as they pass in front of it (transit). Basically, the star dims, just a bit, which can be detected by sensitive instrumentation. If a long enough observation is done, the regular dips in the light curve are a strong indication of a planet. Multiple dips indicate more than one planet. This isn’t necessarily visible by looking at a graph – sophisticated mathematical techniques are generally also used (power spectra analysis, Fourier transforms, folding and all that). All of these planets are considered to be within the habitable zone of the star, broadly defined. That’s the region around the star which gets just enough sunlight to produce an equilibrium temperature on the planet in the range for liquid water. The closest planets would be uncomfortably hot, by our standards, and the he farthest out planets might need the help of a fairly strong greenhouse effect to attain the temperatures for liquid water. Earth benefits from a greenhouse effect – it is considerably warmer than it would be without one. Of course we don’t want the greenhouse effect to get extreme, or the planet might become too hot for us. At any rate, with seven planets to choose from, it seems reasonable to assume at least one in nicely situated. Five are similar to Earth in size, with two others between Mars and Earth in size. Their densities indicate that they are likely rocky, perhaps with atmospheres and/or layers of ice. They are in resonant orbits, much like the moons of Jupiter are. That means they orbit in whole number ratios. Their masses, compared to their star, are similar to the masses of the moons of Jupiter compared to that planet, so perhaps their formation history is similar. They are all very close to 90 degrees in orbital inclination, so we are seeing this nicely co-planar system edge-on. The star is fairly young, about half a billion years old, so there hasn’t been much time for life to develop. However, we now know that bacterial life developed quite quickly on Earth, so we can’t be sure that there hasn’t been time in this system for at least rudimentary life to have formed. 1 – Planets orbiting a red dwarf at the distance needed to be in the habitable zone would become tidally locked with their star. That means that one side would be in perpetual daylight, and the other in perpetual night. It was thought that would result in some crazy weather, not conducive to life, since the planet would have to distribute this heat, via strong winds and other violent weather. However, some more recent simulations seem to show that the weather might not have to be as big an obstacle as it was assumed, especially if the planet has an ocean. Oceans are very efficient at moving heat around. 2 - Planets orbiting a red dwarf at the distance needed to be in the habitable zone would be subject to intense X-ray and strong UV radiation. This would happen every now and again, and could strip the planet’s atmosphere, and just generally expose living things to dangerous levels of radiation. Red dwarf stars are much more prone to these events than our sun, for example. Again, though, there has been some re-evaluation of this idea, as it has been discovered that red dwarf stars are not as violent as originally thought, especially as they age. Also, if the planet had the right sort of mass and gases in its primordial atmosphere, it might well keep that atmosphere, even under this strong radiation. 3 - Red dwarfs radiate strongly in the red and infrared, which is not the preferred waveband for photosynthesis on Earth. Our plants make use of shorter wavelength light, since the sun peaks in these wavelengths. But, again, the wavelength dependency of photosynthesis has been re-evaluated, and it is now thought that there would be sufficient energy from the longer wavelength light of a red dwarf for photosynthesis, especially given the possibility of perpetual daylight on a tidally locked planet. Naturally, the jury is still out on any of these speculations, until we get better data. 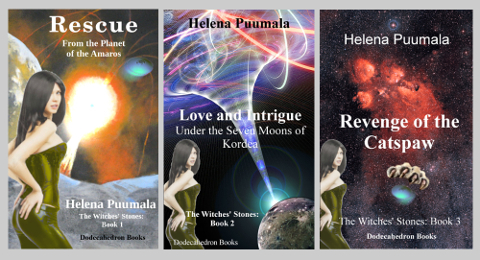 That would include spectral observations of extra-solar planets’ atmospheres, since the presence of gases such as oxygen or methane would be highly suggestive of life, as these gases tend to be depleted quite rapidly by natural chemical reactions (e.g. oxidation), if not constantly re-supplied by some natural process. On Earth, that process would be life. That would likely also be the case on other planets, though there might be purely non-biological mechanisms at work as well. There are a couple of nice features about red dwarf planets and life. One is that red dwarf stars are very common, much more common than stars like our sun (up to 75% of stars in the Milky Way may be red dwarfs). So, if life can evolve on these planets, there are plenty of opportunities, to do so, given the immense number of such stars and planets. That also means those habitable planets could be closer to Earth than we first suspected (20 of the 30 nearest stars are red dwarfs). The other nice feature is that red dwarf stars live a very long time. The lifetime of a star is related to its mass, with smaller stars lasting much longer than larger stars. Our sun will be on the main sequence for about 10 billion years (it’s already probably middle aged, though). A red dwarf might last up to 100 billion or even a trillion years. So, there would be plenty of time for life to evolve. Who knows, humanity might eventually decamp to a nearby red dwarf, in the next billion years, as our sun becomes inhospitable to life. If we could manage that, we really could “live long and prosper” as a species. 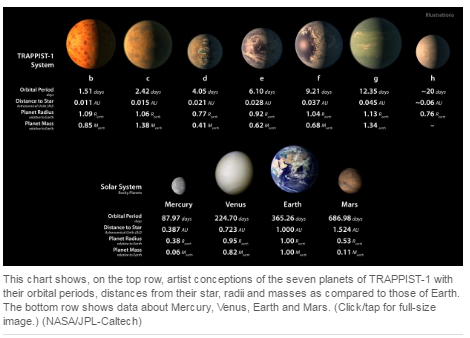 · Seven temperate terrestrial planets around the nearby ultracool dwarf star TRAPPIST-1. Michale Gillon et al, Nature (23 Feb 2017). · Google Images (Red Dwarf TV show image).